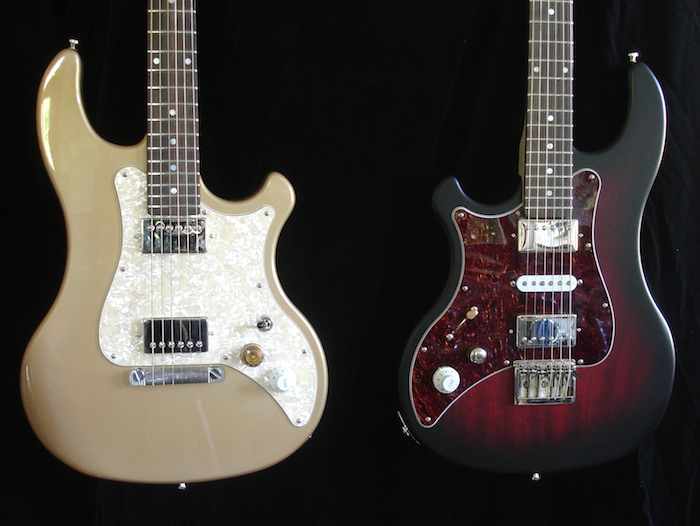 On request, the Hot Wire Schoengeist guitar was developed to match the Schoengeist bass. Again we use khaya mahogany for the body, with a nice koa top, and sapeli mahogany for the neck. 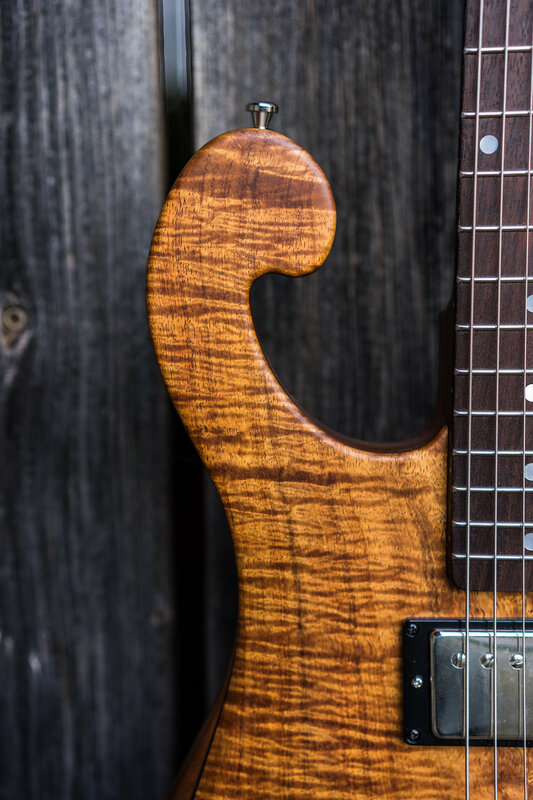 The two split-coil humbuckers come from David Barfuss, Gotoh Locking tuners, plus a Kortmann wrap-around bridge made of titanium. This guitar combines the best of Tele, Strat and Les Paul. On request, we also build your favorite guitar. 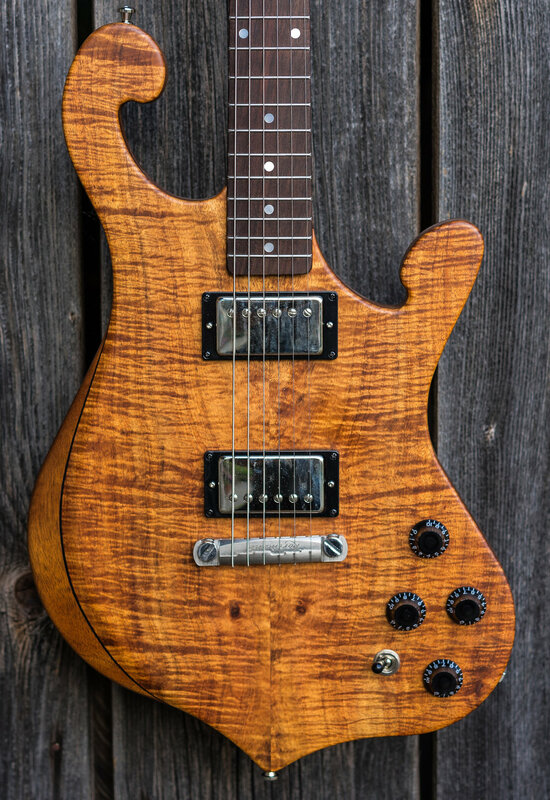 The Inlaw guitar, based on the Inlaw bass, comes with Kaya body and maple neck, sporting Amber pickups and the active "Tone Liter" electronics from John East. This will give you all the usual sounds and a lot of "unusual" sounds. Basically, we are open for everything. If the desire for a Tele Deluxe comes, we build one. 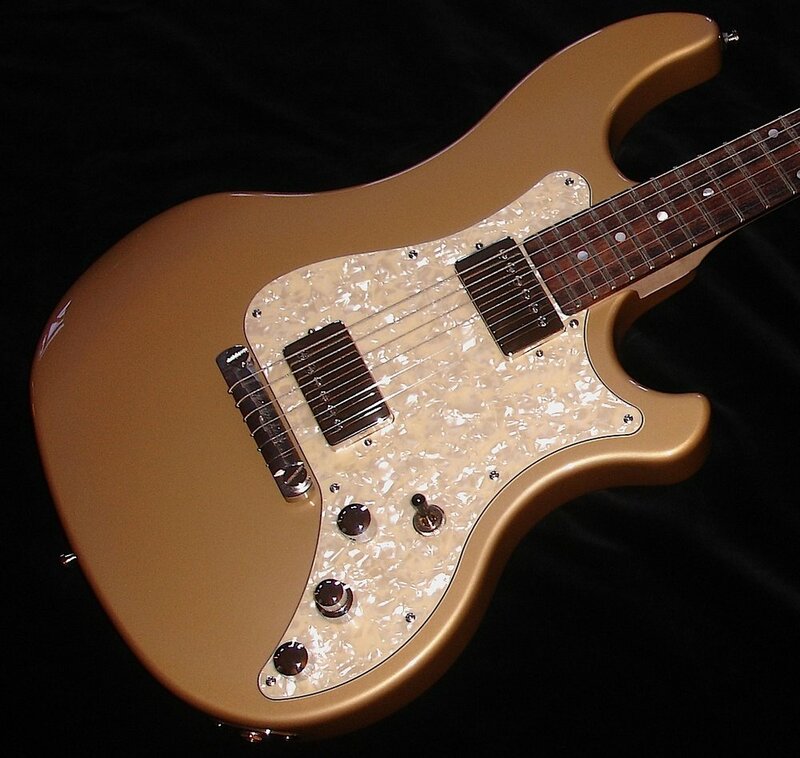 With Swamp Ash Body, Maple Neck and Barfuss Pickups, for example.